But are they covered by insurance? That’s a good question – and we’ll discuss it in further detail below. Read on, and find out if you can get health insurance coverage for major dental procedures and dental work. There are two common types of dental health insurance in Australia – general dental coverage, and major dental coverage. General dental coverage from a private health insurance company usually includes things like oral hygiene, fluoride treatments, and other basic, inexpensive procedures – even root canals, in some cases, with 2 month waiting periods. However, it excludes procedures such as dental implants, crowns and bridges, bone grafts. The category of “extras” covers these types of procedures. To get coverage for “extras”, you’ll need a pricier major dental plan. The other type of dental benefits you can get is major dental coverage. Major dental coverage includes quite a few procedures that are excluded from basic plans under fund rules, such as bridges, crowns, and other restorations. Despite the fact that many health funds offer major dental coverage, you still likely won’t be able to get complete dental cover for a dental implant. Many insurers specifically exclude dental implants from their coverage. Why Aren’t Dental Implants Covered By Insurance? In a word? They’re expensive. Dental implants can easily cost thousands of dollars, so they are very expensive for health insurance companies. This is the primary reason that they are excluded from coverage. Health insurers justify the fact that dental implants are not covered by saying that they are “elective” procedures – and not necessary for your oral health. Instead, they are willing to cover procedures like partial dentures or a dental bridge to replace a missing tooth. In a way, this does make sense. Dental bridges and partial dentures do both replace missing teeth – and they do it at a much lower cost than a dental implant. However, in the long-term, a dental implant is often more cost-effective than a bridge or a denture. Hopefully, in the future, dental insurers will realize this, and they will be willing to cover dental implants for patients. For now, though, unless you choose an expensive healthcare insurance provider which specifically includes dental implants, your procedure is unlikely to be covered. Can I Get Part Of My Dental Implant Covered By My Insurance? This is possible, in some cases. It depends on the specifics of your case, your insurer, and a number of other factors. However, it’s not unheard of to get part of a dental implant covered. However, there is no guarantee of this, and insurers have the right to refuse to do it. In addition, you may have to undergo a very long waiting period before your insurance allows you to get a dental implant, and this may result in the worsening of your oral health. Most patients who get dental implants end up paying for the treatment themselves. There are many financing options available, and they usually find that the procedure is worth the additional expense. Is A Dental Implant Worth The Investment? Despite the expense of a dental implant, it is by far the best way to restore a missing tooth. Why? Here are just a few reasons. Looks and feels natural – Unlike partial dentures, which usually use plastic or metal scaffolding to be held in place, dental implants tend to feel natural, allowing you to chew, speak and function. Requires no special precautions – Brush at least twice a day, floss regularly, and see your dentist for regular hygiene appointments. It’s just that simple! Once the implant has healed and functioning, there are no dietary restrictions you must take with a dental implant. Supports healthy jaw tissue – The titanium used in a dental implant bonds to surrounding tissue, and helps it stay strong. Got A Missing Tooth? 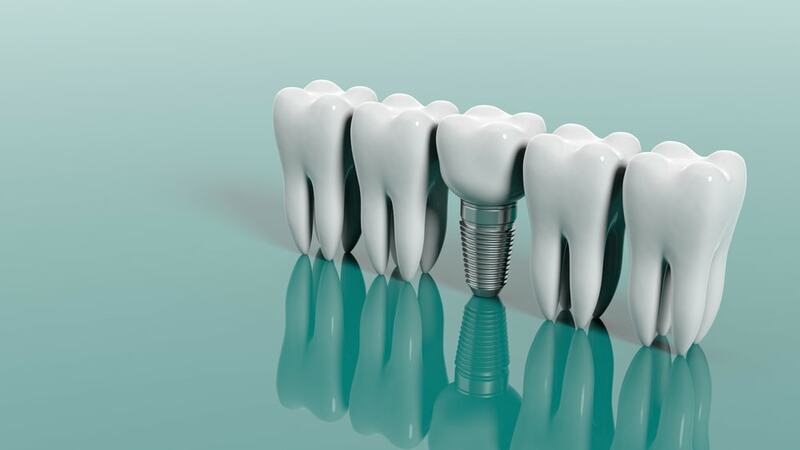 Need A Dental Implant? Come To Central Periodontics In Canberra City! If you need dental implants in Canberra City, Central Periodontics is the best choice. Our specialist dentist has performed thousands of implant procedures. With our years of experience, advanced dental technology, and minimally-invasive techniques, we can offer you the best dental implants. Schedule your appointment now, and see what a dental implant can do for you! Central Periodontics provide professional Dental Implants Canberra services.